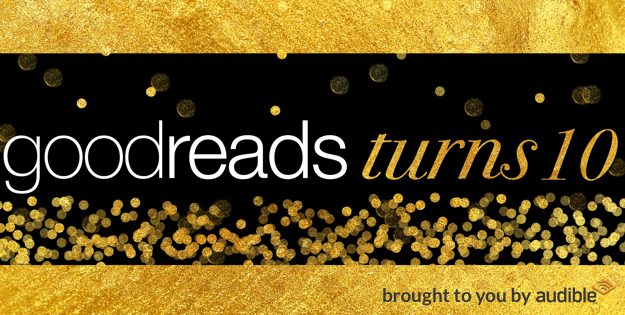 Goodreads Turns Ten is sponsored by Audible. Enjoy a free book with your trial. Pop a bottle of bubbly! We're celebrating our tenth anniversary and you're invited! 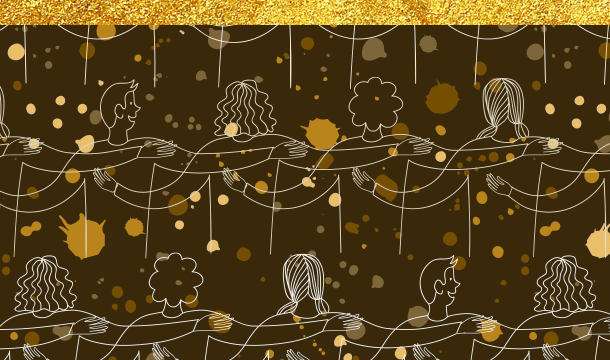 How the hallmark books of our lives can change us—from our very first read to our very last (and all the wonderful ones in between). The readers have spoken! 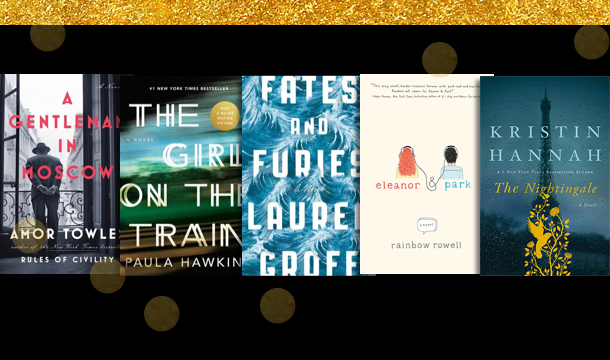 During our annual Goodreads Choice Awards, you vote for your favorite books across genres and categories. Revisit the winners here. See their picks and add your own! The good, the bad, and the ugly. 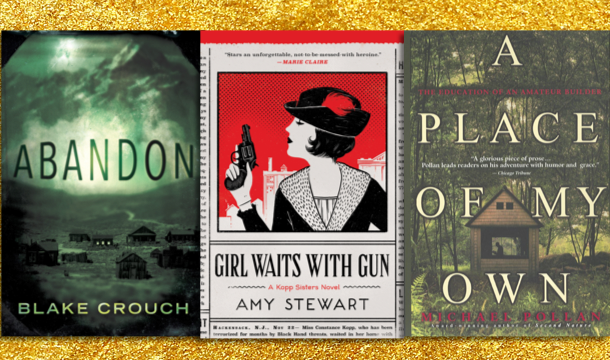 These books—and their reviews—had you talking. See which works inspired your most passionate responses. Sometimes life is cooler than fiction. Jake and Maggie Gyllenhaal and more! Become a Book Fairy: Hide Books with Goodreads! Join us on Monday, Sept 18 in hiding our favorite books for others to find and enjoy. Go ahead and grab a few; we won't tell. 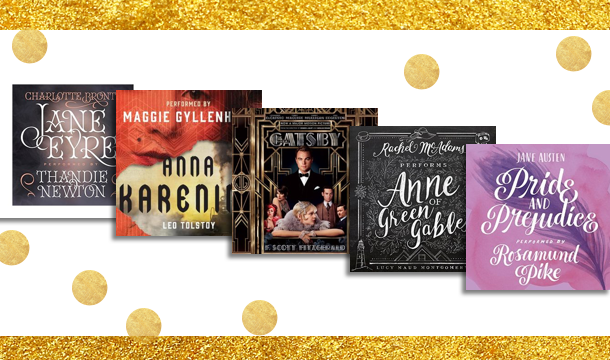 Get the decade's best books for free! UPDATE: Thanks for all the congratulations! For international members interested in entering for a chance to win a free book, you can browse our Giveaways here. (Check eligibility under “Countries Available” in each listing; these are selected by the publishers and authors running the giveaways.) Goodreads Deals is a US-only program, but we hope to bring this to more markets. Thank you for being a part of Goodreads! Goodreads is only 10? Wow! I've been a member since December 2007, so I was a member since almost the beginning. I hate that this should be a site-wide celebration, regardless of where a person comes from, but your giveaways and deals are locked to the US only. Mystic wrote: "I hate that this should be a site-wide celebration, regardless of where a person comes from, but your giveaways and deals are locked to the US only." Happy Birthday Goodreads! I never knew it's only 10 years old, I thought it were older. This site changed my life, thank you! Aw!~ The giveaways is for U.S. residents only! Hopefully there would be another giveaway for those who are in Asia-Pacific. The Bibliophage wrote: "Aw!~ The giveaways is for U.S. residents only! Hopefully there would be another giveaway for those who are in Asia-Pacific." Or everywhere, really. 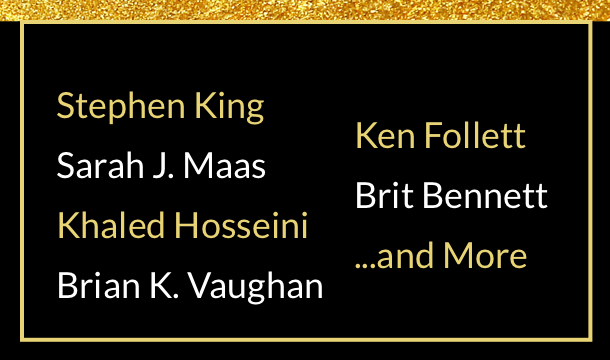 If this is going to be a celebration of Goodreads, then their rewards should be international. Whilst Goodreads was created in America, they got where they are today because of international interest and usage. Sad wrote: "US party only it seems... :/"
Wow !!! Hard to believe that Goodreads is only 10yrs old. I thought they have been around for a much longer time. This is a great website and I don't visit it often enough. Congratulations to Goodreads on your Anniversary !!!! Proud to be a member!! Ten! I guess that was back before it was an advertising vehicle for Amazon? Mystic wrote: "The Bibliophage wrote: "Aw!~ The giveaways is for U.S. residents only! Hopefully there would be another giveaway for those who are in Asia-Pacific." Or everywhere, really. If this is going to be a..."
Indeed! Not that we are complaining; but hopefully these giveaways is open for all. Or perhaps they could come up with giveaways per continent or region in the (near) future. Or the Arab world ?! To be fair, it's usually not Goodreads' decision into which market they can do these giveaways, it's the publisher's. Now, I don't know how hard they tried to get international publishers on board but it's not as easy as just buying some extra books and paying a little more for shipping. We'd absolutely love to extend our Deals and Giveaway offerings outside the US at some point. We'll be looking to do this as we grow internationally. Watch this space! We'd absolutely love to extend our Deals and Giveaway offerings outside the US at some point. We'll be looking to do this as we grow internati..."
Great! We'll wait :) Happy anniversary. No giveaways for the UK? I am sad. I agree, that's unfair, we're fans and users too. Looking forward to this! Happy 10th birthday Goodreads! Happy 10th Birthday Goodreads! Best wishes from Brazil! And this is when you need a thumbs down emoticon cause I'm giving you one. Happy 10, I've been a member since dec of 07, this place and the people I have interacted with over these past 10 years has been wonderful. The site has gone through changes, some good, some bad. But we've all became this one big happy family of book dragons. I am so very grateful for my online home, mind you my wallet not so much but I'd be lost with you. happy anniversary. love this site for organinzing my reads and seeking new reads. bring my phone to the library so i can access your lists. Happy anniversary~~ Wish you all the best! 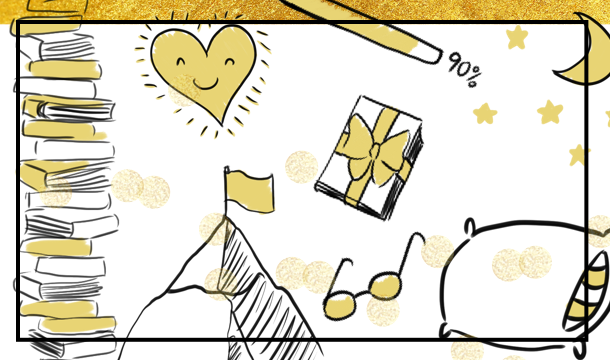 Happy 10th anniversary Goodreads! Thanks for making my reading experiences even richer! Happy anniversary Goodreads! My ultimate obsession; love how this has created a community for readers around the world. To 10 more! Congratulations! I've been a member since August 2008, I'm pleased with this place. I was also a member of another big "librarything" place where I left few hundreds of my books. I think that GR should have a more international flavour. It's been more authentic and superficial to be part of Goodreads community. Books are souls of inherit Human conscience. And this is when you need a thumbs down emoticon cause I'm giving you one." Member since March 2008 and still loving it!! Happy Anniversary!! I love Goodreads but I get so fed up of updates and giveaways being only for US members. Felix wrote: "Mystic wrote: "I hate that this should be a site-wide celebration, regardless of where a person comes from, but your giveaways and deals are locked to the US only." This is terrible , US only? Is this 2017 or 2007? Common you guys! You should either have a worldwide giveaway or none at all. It never goes away does it? Preferential treatment, group-ism , favoritism, differential treatment, selective kindness etc etc. You guys really need to have a dislike button. It's horrible to see US ONLY , If readers all over the world can review books for free & keep you up & running is it so hard to use a portion of those profits to ship us some books? Even if it's one of those bad titles that would never get sold which is the reason for the give away in the first place? Why don't you restrict the website to JAPAN ONLY , let's make the community to CUBA ONLY or is third world too much for you guys? 10 year anniversary but Zero Progress, being a website that gives access to knowledge, this is disappointing to see. Thank you.